CAA Seattle is an evolving community offering Brazilian Jiu-jitsu, Muay Thai, and Strength & Conditioning with a large selection of classes to fit your schedule. Recently established as Combat Arts Academy, the Burien location is a smaller, more intimate facility focusing on just the art of Brazilian Jiu-jitsu. Combat Arts Academy Seattle isn’t just West Seattle’s premier fitness and martial arts facility; it’s also a community designed to help you reach your goals, whether it’s to get into shape, learn self-defense, compete in a tournament, or just have fun. We offer programs for all ages and skill levels – whether you want to learn self-defense, get into shape, compete, or just have fun… we have a class for you, designed to help you reach your goals. We believe that everyone has an inner athlete. Human beings are designed to MOVE. we are about rediscovering that side of human nature through practice and play. We are so sure that what we do will help you reach success, we offer a 60-day money-back guarantee. This is what we are about. 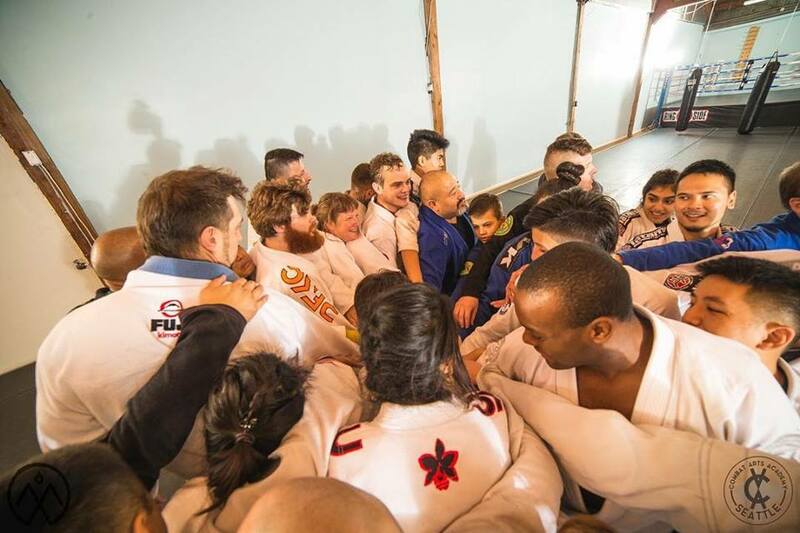 We have people from all walks of life, coming together on the mats as a team.